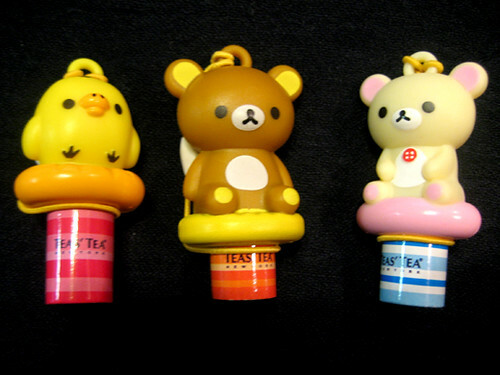 These Rilakkuma LED light cell phone charms are free gifts that you can get to buy Teas’ Tea itoen plastic bottle of tea. “Rilak” means relax and “kuma” means bear. 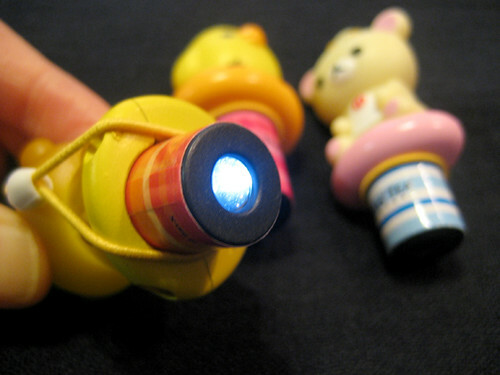 This cutie LED light is good for dark areas like entrance to your house and etc. 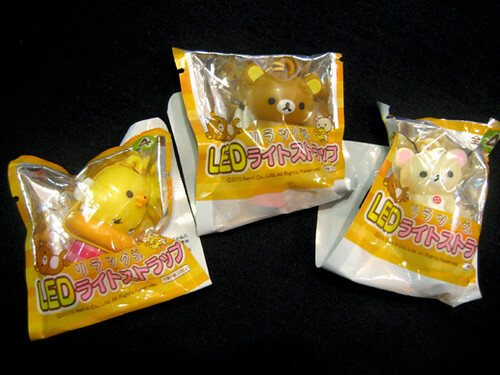 It’s fun to collect Rilakkuma’s friends “korilakkuma and yellow bird” too. wow so cute! im so jealous!